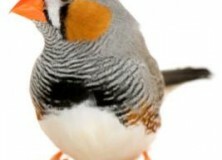 What happens when you get a Zebra Finch drunk? It has now been some time since Sean posed the research question as to whether a population’s consumption of alcohol can affect the structure of that population’s language. This hypothesis is born from the finding that alcohol consumption affects procedural but not declarative memory (Smith & Smith, 2003). This question was brought to the front of my mind again today after an article appeared in New Scientist about the findings of a study which looked at what happens when you get Zebra Finches drunk. 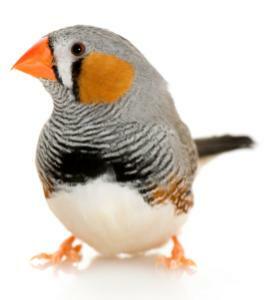 Zebra finches are interesting to those studying language evolution because they are known to use vocal learning to acquire their repertoire of songs. We also know that these songs can be passed on through cultural transmission and accumulate structure based on the cognitive biases of the finches, just as language does in humans. It is not a hard leap to draw parallels between early human speech acquisition and the song development of birds (Doupe & Kuhl, 1999). Both humans and birds are known to babble and in both innate biases and constraints interact with environmental influences to produce the final vocal output (Feher et al. 2008). The findings published in new scientist (though, as yet, nowhere else), state that binge drinking may permanently impair juvenile finches’ ability to learn new songs and that, while normal young Zebra Finches “babble” and experiment before settling on their own song, which is inspired by the songs of the finches around them, the drinking finches experimented less, and settled on a simple song at early on. Christophen Olson, who presented the findings, said that the results may tell us something about how learning behaviour in the adolescent human brain is affected by binge drinking. It is an interesting thought experiment to consider how human language may culturally evolve in a population of individuals binge drinking from an early age. I don’t think we’re going to get this one past the ethics board though. Thanks to Rosalind King for pointing out this article to me. Doupe, A.J. and Kuhl, P.K. (1999). Birdsong and Human Speech: Common Themes and Mechanisms. Annu. Rev. Neurosci., 13, 567-631. Feher, O., Mitra, P.P., Sasahara, K., Tchernichovski, O., 2008. Evolution of song culture in the zebra finch. In A.D. Smith, K. Smith, R. Ferrer i Cancho, eds., The Evolution of Language. World Scientific Publishing: Singapore, pp. 423–424.